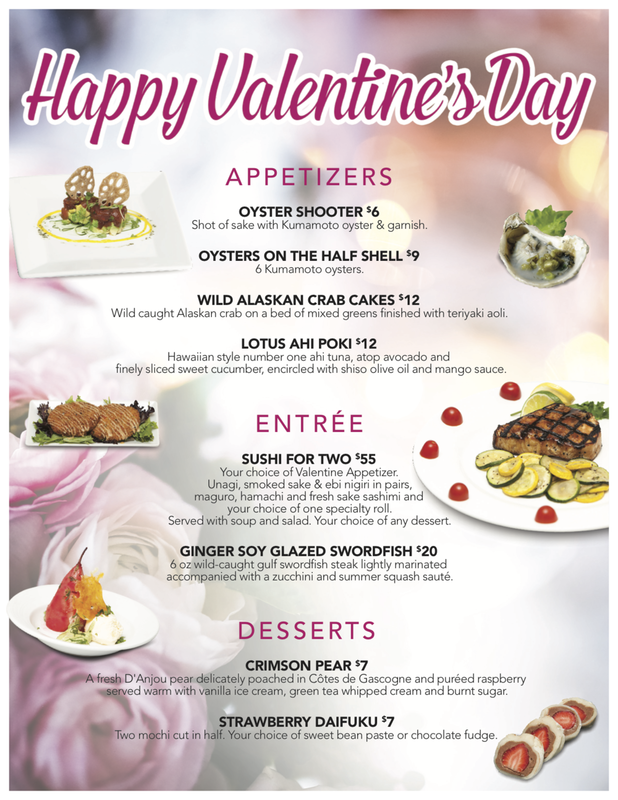 Check out our specials for Valentine's Day! All regular menu items will also be available. We hope you'll join us. OpenTable will say we are booked, but please call us to make sure.